So long long ago I wrote a post about how I was going to turn over a new exercising leaf now that I was the proud owner of a Wii Fit. It was a really good plan... move more, have fun, feel better about myself. I actually did it for a rather long time, and REALLY enjoyed it. Then, one day I got busy, the the board ran out of batteries, then I just forgot about it all together. Eventually we got a Wii U, which for the record, is a HIGHLY UNDERRATED GAMING SYSTEM. I commonly wonder if people even know that it exists, or that it is actually that different from the original Wii. Let me tell you, it is different, it is better, and it is AMAZING. It's also a little difficult to exactly describe why it's better because I am not even slightly a gamer, but I will just say we adore ours. We use it daily, and usually not for normal video games, although every game we have bought we have really liked. It connects to the internet, so we stream movies and youtube through it. 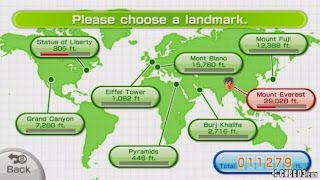 It has apps and downloadable games for super cheap that are amazingly fun. The tablet screen can be used basically as it's own television, it has great controls and is truly awesome for the entire family. 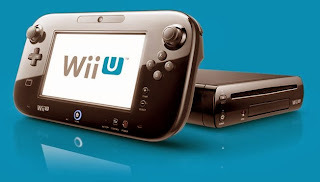 So.. the Wii U, it's $300... it would make an excellent Christmas present! This is what a Wii U looks like... in case you didn't know. 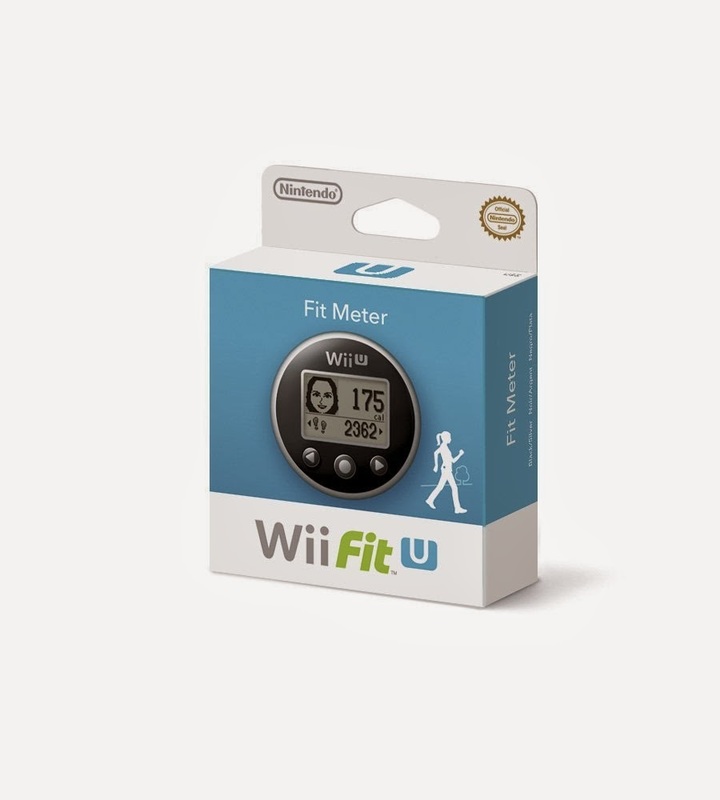 Anyway, the Wii U recently came out with a downloadable version of Wii U Fit! I was thrilled! (as you can tell from my exclamation points!) Here was my chance to get back into exercising the lazy/fun way! The download was free for 30 days, and if you bought a $20 Wii U Fit Meter you got to keep the download forever. 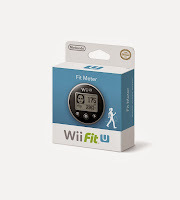 You need a Wii Fit board, but we already had that from our original Wii, so the game cost us $20 with the pedometer/meter. Actually... it cost us $40 because Nick and I each got a meter, and it is about to cost us $20 more because Henry is about to turn green with envy. And now, I should feel a little guilty that we didn't just buy him one from the start, but who thinks a four year old wants a pedometer?? Oh Henry wants one. He wants one baaaaaaaaad. So Anyway, we got these meters, and they are amazing. Not only do they count steps, but they keep track of your level of activity. That means it seprates casual movement from walking, and from running. It knows if you are climbing stairs, and it keeps track of your altitude. It also knows if you are in an elevator, and it does not give you credit for that. 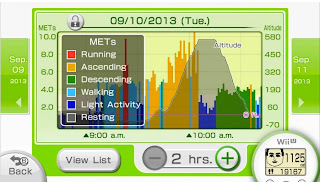 It monitors your calories burned, and at the end of the day you can transfer the information from the meter into the Wii U and it makes tons of graphs and charts and what not with the information. The Wii U Fit makes games out of getting exercise, like right now I am trying to get my steps climbed number high enough to reach the top of the Statue of Liberty. You would be surprised how motivating this is... like, I have not used an elevator at all since putting on the meter, and am actually seeking out stairs to climb so I can get to the top.. WHY ARE THERE NOT MORE STAIRS IN MY LIFE?? Besides the meter, the game comes with an insane number of options for working out. The yoga section is amazing, as is the aerobic exercises and dance sections. The hula hoop stepped up it's game from the original Wii Fit, and honestly provided me one of the most intense exercises I have had in years (that isn't saying a lot... but it was hard). The balance games are ridiculously fun, and honest to god the three of us look froward to playing/exercising together in the evenings. SERIOUSLY. 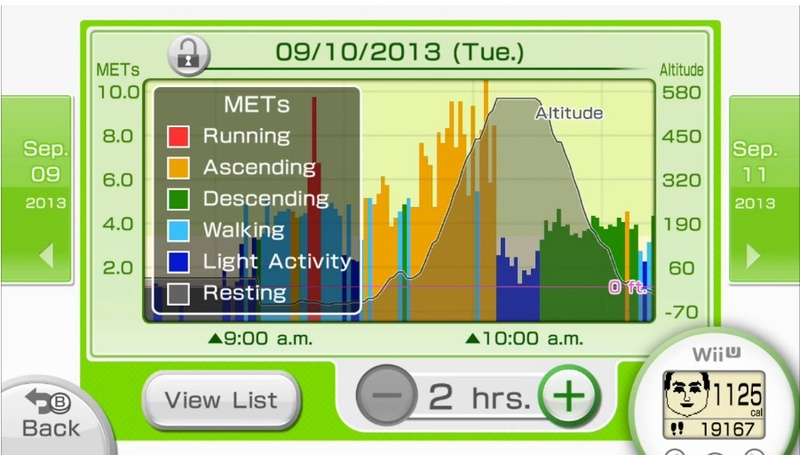 So... consider this post my stamp of approval for the Wii U Fit. And for the Wii U in general. It's good family fun.